SOLUTIONPOOL - DESIGNKLASSIKER & SERVICES is competent and experienced. SOLUTIONPOOL - DESIGNKLASSIKER & SERVICES understands the customer's concerns and expectations. 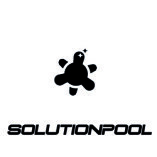 SOLUTIONPOOL - DESIGNKLASSIKER & SERVICES offers a comprehensive and up-to-date services.